We are a Leesburg day spa locally owned and operated, offering high-quality massage therapy, facial aesthetic services, acupuncture and more at affordable prices. We are one of the premiere Leesburg spas in all of Virginia. Our therapy staff consists of highly-qualified professionally licensed therapists with years of experience and trained in a variety of styles and techniques. Your treatments are always customized to best serve your highest needs & desires. In combining our service options, we can deliver effective therapeutic results for your overall health and well-being. We strive to offer the best and most affordable spa services in historic Leesburg. We create different monthly specials to give you a great opportunity to try our various bodywork treatments so check back here or follow us on Facebook! A hiker’s dream! Includes 30 minute foot relief therapy – a mineral foot soak + exfoliating foot scrub – followed by a 90 minute full body massage w/reflexology. This treatment will leave you refreshed and rejuvenated! ***Add a 60 min classic facial: 3 hours for $269! Enjoy 90 minute therapeutic massage + 90 minute classic facial! Add 1 hour foot relief therapy or 1 hour acupuncture for only $74! **1hr massage + 1hr facial for $199. Add a 60 minute classic facial to our 2 hour body & sole and experience total body bliss! 90 Minute VIP Facial only $159! Tailored to fit your skin care needs and goals! Our most exclusive and luxurious facial includes 3 custom add- ons selected by you with your esthetician. 90 Minute Aromatherapy Massage only $154! Therapeutic massage incorporated with our house blended aromatherapy massage oil. Chose from: Relax & Balance, Rejuvenate, Refresh & Renew, Breath Deep, Cedar Mint, Soothing Relief Wild Orange Eucalyptus or Lavender, depending on your mood! Leesburg Spas | Combo Spa Deals COMING SOON! Infusion Combo – 2.75 hours for $289! Pamper your body & feet with a 2 hour body & sole, then pamper your face with a 45 minute oxygen infusion, naturally protecting, hydrating and plumping the skin. Take home oxygen Plasma for only $33! Hollywood’s secret for looking great at events! Rejuvenation Combo – 2.75 hours for $289! Rejuvenate your body & feet with a 2 hour body & sole, followed by a 45 minute “non-surgical face lift” combining advanced micro-current + LED light therapy. Excellent for the reduction of lines & wrinkles, discoloration, scars, acne, and Rosacea! Enjoy our 4-step skin hydration body treatment! It starts with a macadamia oil massage followed by a lime blossom body scrub, melted with body nourish cream. A warmed moist towel removes any scrub residue, and it ends with a hydra opulence intense moisture balm massage. This treatment leaves your skin supple and glowing! Follow that with an advanced skin rejuvenation medi-spa facial and you’ve attain the whole glow! Body glow gcrub / massage only: 60 minute /$109 or 90 minute /$149. Royal Combo – 3 hours for $339! A therapeutic & detoxifying package! Start with a 60 minute massage release areas of tension, then move into a 60 minute healing Abhyanga massage with medicinal, warm oils and finish with a 60 minute classic facial. Leaves you feeling like royalty! Upgrade to a medi-spa advanced skin rejuvenation facial for only $40 more! A wonderful combination that includes 1-hour each of Massage, Facial, and Acupuncture. This treatment is customized to meet your therapeutic needs and will leave you relaxed and balanced. A detoxifying, calming, clearing combination of 1 hour Ayurvedic foot relief therapy (Pada Abhyanga), 1 hour Ayurvedic massage (Abhyanga) and a half hour of Shirodhara (oil therapy). experience what Ayurveda can do for your body & mind! Add a private Yoga session to your Mind : Body : Soul Combo & get a FREE Magic Stuff H-Balm to soothe sore muscle! Yoga therapy is perfectly complementary to receiving therapeutic massage and bodywork, acupuncture, and medical treatments. 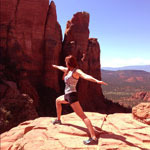 Yoga invigorates the healing process and when used in conjunction to manual therapy, optimal results can be achieved. *PACKAGES: Packages may be gifted to, or shared with, others. Packages cannot be combined with any other coupons, discounts or specials, including SpaFinder, SpaWish or SpaWeek gift cards. Packages valid only for the listed session type/time. Packages valid for 1 year and are non-refundable. *DEALS: Each offer is separate, cannot be combined with any other offer/combo. Offers must be purchased by the last day of the month and expire in one year. Must mention this ad when making reservations. Print ads must be submitted at check-out to receive discount. Book a Combo & Save Even More! All reservations must be secured with a credit card. We maintain a 24-hour change or cancellation policy prior to scheduled appointment. If, for any reason, appointments are cancelled within 24 hours, the full price will be charged. All rights reserved. Best Spa in Leesburg, VA. 20175.